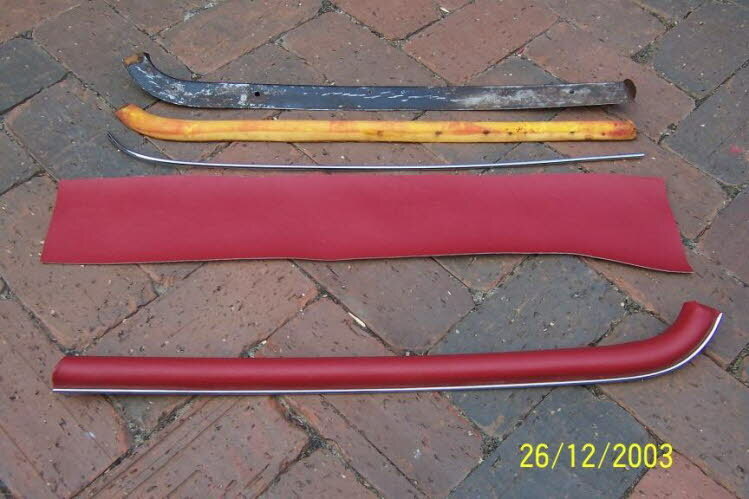 Here are the components that made up the rear quarter window lower trim. From the top is the LH mild steel backing, foam form, chrome mould and vinyl ready to be fitted together. At the bottom is the completed RH trim.